Attention Drunk Driving Victims—WE SUE DRUNK DRIVERS! A drunk driver on the road is like a game of Russian Roulette. There's no telling where, or when, an intoxicated driver will get behind the wheel. Sometimes these drivers make it to their destination without injuring anyone, sometimes they don't—and too often, they're not the only ones who don't make it home. Drunk drivers are gambling with lives, and the life of someone you love may be at stake. Drunk Driving Victims: How Can You Reduce Your Risk? drunken driving cases always increases over the holidays. Christmas and New Year's are the most common days for alcohol-related incidents, but summer holidays can be dangerous as well. Young drivers. Teenagers are driving drunk at an alarming rate, and unfortunately, the laws don't do much to stop them. Teenage offenders are often given community service after pleading guilty to DWI, and have no real deterrent to keep them from driving drunk in the future. Repeat offenders. Not only do penalties for driving drunk vary, but alcoholics tend to get behind the wheel on a daily basis. The law can only be applied to those who get caught—and those are usually the ones who have already caused injury. Entertainment. There are more strip clubs per capita in Dallas than anywhere else in the US. While that doesn't guarantee driving under the influence, almost all of these establishments serve alcohol and are open late into the night. Speed. Drunk drivers are already impaired, but when combined with high speeds, a drunk driver can be twice as lethal. A driver under the influence on a city street can go farther—and cause more damage—on I-20, I-30, I-35, I-75 or I-635. Tourist events. Cross-state traffic, out-of-towners that don't know how to navigate Loop 820, huge business events that pull in talent from all over the globe. Visitors may be aware of the drinking and driving rules, but being far from home and hosted with an open bar, they may have little opportunity to appoint a designated driver. Airport traffic. When you're on a long flight, it's tempting to relax with an in-flight drink. Hours of waiting at a terminal can be passed easily at the sky bar. Unfortunately, a traveler may not realize that these drinks have left him over the legal limit-and then let loose on the airport freeway. 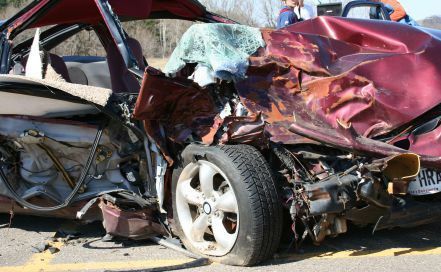 As trusted car crash attorneys, we've seen far too many victims of drunk driving. The only positive thing we can say about them is it has allowed us to gain experience in prosecuting DWI cases. Although we cannot stop drunk driving crashes from happening, we can get you and your loved ones the justice they deserve. From our Colleyville office, our personal injury lawyers able to offer injured victims of drunk drivers in Bedford, Hurst, Grapevine, Irving, North Richland, Euless, Irving and beyond the legal representation they deserve. Contact us online or call us directly at (800) 856-2347 to find out how a TBLS-certified Texas injury attorney can help stop the suffering and get your life back on track.